The end of the year is definitely one of the busiest times for teachers. With packing, checklists, filling out technology and supply inventories, and not to mention trying to keep a classroom full of students engaged and yourself sane. While it may seem like you can not add one more thing to your plate, if you are able to get all or at least some of these 5 things done you will set yourself up for a less stressful beginning of the year next year. As teachers we can definitely accumulate a lot of "stuff." Before leaving for the year take a moment to think about what items in your classroom you've never even used and get rid of them. While it may seem like you need to hold onto these items in case you need them in the future, there are definitely better uses for them than collecting dust in your classroom for another year. Some ideas include donating these items to a newer teacher, giving items to students, or donating them to a school in need. 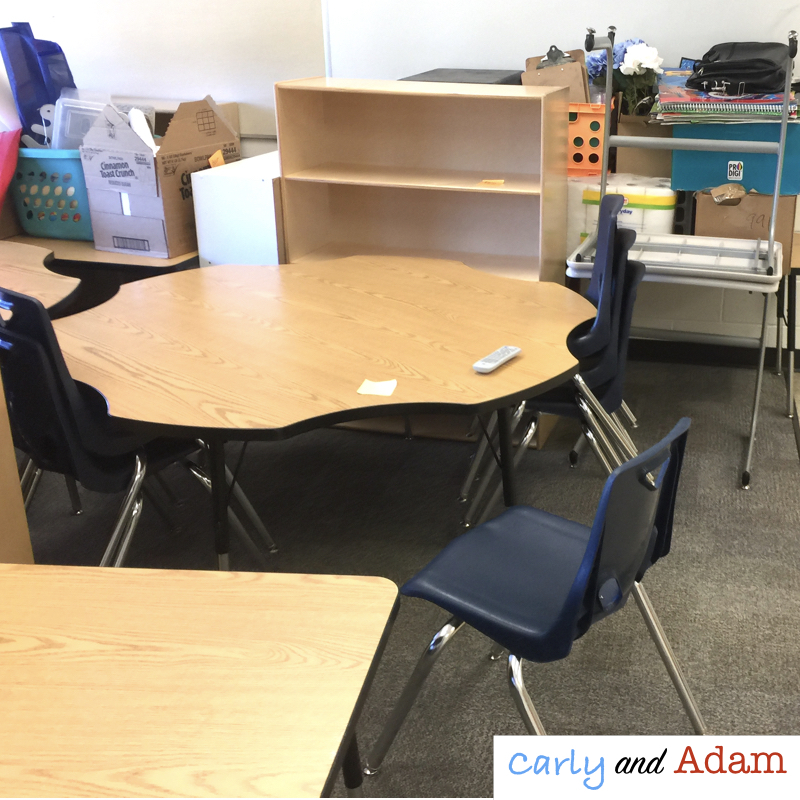 In the end your classroom will feel more organized and you will have helped another teacher. Another thing you can do at the end of the year to get ahead for next year is to make copies of things such as beginning of the year morning work, homework, and back to school night items. Trust me that your future self will thank you for this! If you are fortunate enough to have a room mom or parent volunteers this would be something that they could easily do to help out. My favorite morning work to do with my third graders is our Daily Language Review. I keep my master copies in a binder organized by week which makes it easy to pull out the copies that I need for parent volunteers. Now I know that when you are wrapping up the end of the year it can be difficult to start planning for next school year. Nevertheless, the end of the year is the perfect time to start thinking about next year. At this point in the year you probably have a clear view of things that went well and things that will need to be done a little differently next year. If you are wanting to get your year started off on the right foot it is essential that you set a good foundation during the first week of school. This is why we have complied a set of activities in our First Week of School Lesson Plans to help set routines and procedures as well as build community and team work. By having my First Week of Lesson Plans already prepped and ready to go I was able to plan for other aspects of the year and not to mention enjoy a relaxing summer knowing that I was already ahead of the game. As teachers we spend a lot of time thinking through how we want our classrooms to look and feel. We get excited going through the teacher store picking out posters and borders, and the smell of freshly laminated classroom decor makes our hearts skip a beat. While we may spend time over the summer getting a vision for our classrooms and pinning ideas on Pinterest, many teachers are unable to actually get into their classrooms to decorate until a couple of weeks before school. In order to avoid feeling rushed here are some tips for making the classroom set up process more efficient. Some things you can do include planning out your classroom decor ahead of time. Print things out and laminate them ahead of time so they are ready to go. You can even have your students, parent volunteers, or family members help you with the cutting and the laminating. As teachers we tend to be very reflective. Reflecting is a very important aspect of being a teacher. We may reflect on how a lesson went, how we handled a student conflict, or how a parent meeting or conversation went. Some of us also tend to be perfectionists and we can at times be hard on ourselves. As you spend some time reflecting at the end of the year on things that went well and things that need improvement be honest with yourself, but be sure to give yourself grace as well. For More Ideas and FREEBIES Join Our Newsletter!